The University of Manchester has teamed up with British sportswear brand Inov-8 to become the world's first company to incorporate graphene into running and fitness shoes. Laboratory tests have shown that the rubber outsoles of the newly developed shoes, planned to arrive on the market in 2018, are stronger, more stretchy and more resistant to wear. 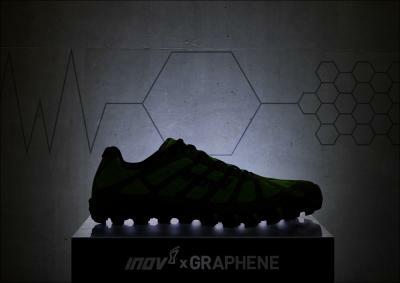 “When added to the rubber used in inov-8’s G-Series shoes, graphene imparts all its properties, including its strength. Our unique formulation makes these outsoles 50% stronger, 50% more stretchy and 50% more resistant to wear than the corresponding industry standard rubber without graphene”, explained the nanomaterials expert at The University of Manchester that was involved in this project.